27: The Legend And Mythology Of The 27 Club, the inaugural release of the new Gene Simmons Book series, is Simmons’ witty, insightful, and no-BS take on the myth, and the actual people, that make up the “27 club”—the ground-breaking musicians, artists, and celebrities who died at the age of twenty-seven, frozen in the collective consciousness at the zenith of their creative output. The summer of 1969 was a momentous one in modern history. It was a season punctuated with change. Apollo 11 landed on the moon, thousands of young fans flocked to rock ‘n’ roll festivals like Woodstock and the controversial Altamont Freeway concert, the Manson Family cult were on a high-profile killing spree, and the first uprisings that would become the Stonewall Riots began. It was an electric summer of violent endings, new beginnings, and social unrest. It was also the summer that a myth was born–beginning with the tragic, untimely death of Rolling Stones founder, Brian Jones. The world soon lost two more huge music stars: Janis Joplin and Jimi Hendrix. Not only did losing these three beacons of music culture seem to signal the end of a musical era, it also felt like a foreboding sign; they had all died at exactly the same age. All three had lost their lives at the pinnacle of their creative output, and all three were exactly 27 years old. People have speculated that there could be a dastardly lineage, from the poisoning of blues pioneer Robert Johnson in 1938, through these icons of the 60s, and more recently to rebel chanteuse Amy Winehouse’s death from alcohol poisoning in 2011. Could it be a twisted fate that the world’s very best creative souls come to early, often violent, deaths at just 27 years old? Over time, this idea began to be known as, “the 27 club,” and it has persisted in the public imagination. 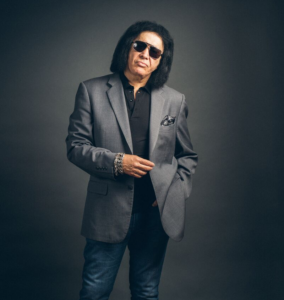 In 27: The Legend & Mythology Of The 27 Club, rock ‘n’ roll icon Gene Simmons takes a deep dive into the life stories of these legendary figures, without giving credence to the romanticized idea that being in the “club” is somehow a perverse privilege. Simmons wills us to acknowledge the extraordinary lives, not the sensational deaths, of the musicians and artists who left an indelible mark on the world.